February 2019: A big low country thank you to Amy Coyne Bredeson at Hilton Head Monthly Magazine for their kind interview. Read the issue here! Thank you! January 2019: Big thanks to the Marines’ Memorial Association in San Francisco, CA for their generous interview in the Winter Issue of Crossroads of the Corps Magazine. Thank you. Read it here. December 2018: Take a look at my interview in Navy League’s Seapower Magazine this month. Thanks Navy League! December 2018: Chris Wadsworth at The Burn was kind enough to run my Barnes and Noble and Smithsonian Air and Space Museum Book Signing events in a recent issue. Article was titled “Ashburn Author Holds Local Book Signings.” Thank you, Chris! November 2018: Huge thanks to Janice Wood of General Aviation News for her article on the December 1, 2018 release of “The Black Scorpion Pilot”! October 2018: Thanks to the American Legion for announcing my upcoming book release on their Legiontown website. Thank you! September 2018: Buffalo Nite in Washington, DC was a terrific event to enjoy the food and people of Buffalo, NY. Honored to donate signed copies of my book “The Devil Dragon Pilot” as door prizes. Wednesday, Sept 26, 2018! For more info, click here. July 2018: Thanks for the Military Officers Association of America (MOAA) for the mention in their July magazine issue. Thank you! March 2018: Honored to speak at Georgetown University’s “Change Management” graduate class on innovation. Thank you for allowing me to speak on my patent and book! Tremendous veteran support. An honor! January 2018: Side by Side is a special event to honor the dedication, sacrifice and journey of our nation’s veterans. This January 20th evening will recognize the life-changing relationship between veterans and their service dogs as a critical part of service members’ recovery and transition back home. These highly skilled animals have a positive impact not just on those who have served, but also on their families. Thanks for your generous support and helping veterans! November 2017: Coming up in a few short weeks–The Warriors Ethos 4th Annual Gala …I’m honored to have a few signed copies of my books as Door Prizes. Their big event is November 16, 2017 at the Hilton McLean, Tysons Corner, Virginia Thank you for supporting our terrific veterans! August 2017: Excited to be supporting The Headstrong Project’s Fifth Annual NYC Benefit Gala. More signed copies to support our nation’s veterans! Please visit here and here for more information! July 2017: The Warriors Ethos 4th Annual Gala will have signed copies of my books as Door Prizes. Their big event is November 16, 2017 at the Hilton McLean, Tysons Corner, Virginia Thank you for allowing me to support our terrific veterans! June 2017: “The Devil Dragon Pilot” named to Best Books of 2017 List on Comparaboo. Thank you! April 2017: “The Devil Dragon Pilot” Book now available at The Skull Creek Boathouse Restaurant General Store, Hilton Head Island, South Carolina. April 2017: Two signed copies of the “The Devil Dragon Pilot” will be door prizes at this year’s American Legion Post 754 Casino Night at the New York Athletic Club in New York City. The event is April 5, 2017. Thank you for allowing me to support the American Legion and our great veterans! March 2017: Thanks to the American Legion for their recent post on Legiontown! March 2017: “The Devil Dragon Pilot” is featured in the March 2017 issue of Hilton Head Monthly magazine. Look for the article “Power Reads.” Thank you to editor Lance Hanlin! February 2017: Author Lawrence A. Colby’s was interviewed about his book “The Devil Dragon Pilot” in the February 2017 issue of Air Force Reserve’s Citizen Airman magazine. Our main character, Captain Ford Stevens, is a pilot and member of Air Force Reserve. Thank you, Citizen Airman Magazine and Air Force Reserve! February 2017: Thank you to world-renowned blogger Jerry Traughber for his mention of author Lawrence A. Colby in his blog titled “3 Crucial Tips for Entrepreneurs to Survive the Robot Invasion“, which also featured Alex Ross’ New York Times Bestselling book “The Industries of the Future.” Thanks, Jerry! December 2016: “The Devil Dragon Pilot” book was reviewed by the Reserve Officers Association (ROA). Read the review at ROA here. Thank you, ROA! December 2016: “The Devil Dragon Pilot” was mentioned in today’s General Aviation News. Will also be featured in the January 12, 2017 print issue. Thank you to Janice Wood and the General Aviation News team! December 2016: Book signing at Marine Corps Exchange – Henderson Hall, Washington, DC, 11 am – 1:45 • Click here for more information and directions! December 2016: Author Lawrence A. Colby will conduct an Author Reading from his new aviation-thriller novel “The Devil Dragon Pilot” at National Defense University, Washington, DC. December 2016: Interviewed with the great Mr. Jerry Traughber of Traughber Design and discussed the book. Always a fantastic experience to talk with him. Thanks, Jerry! 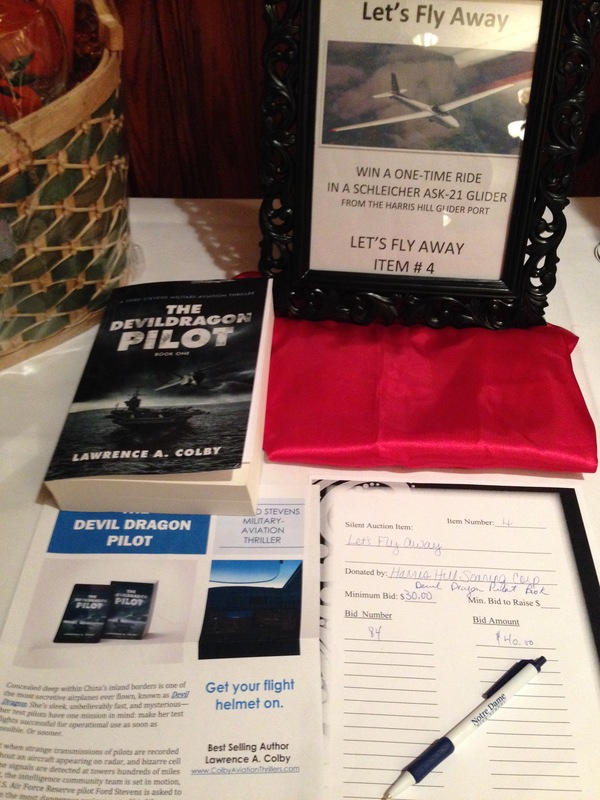 November 2016: “The Devil Dragon Pilot” book was auctioned off as part of a fundraiser for Notre Dame High School, Elmira, NY, as part of their 8th Annual fundraiser –An Evening at the Casino Royale. The book, combined with a glider ride from the Harris Hill Glider Port, went to a lucky winner! Thanks for including my book! November 2016: Author Lawrence A. Colby is featured on the Ready For Takeoff Podcast with Captain George Nolly, and is available for downloading now at Ready For Takeoff Podcast and iTunes. November 2016: I was honored to be interviewed for Mr. Jerry Traughber’s Design website titled “Where Woodworking and Entrepreneurship Meet” website. 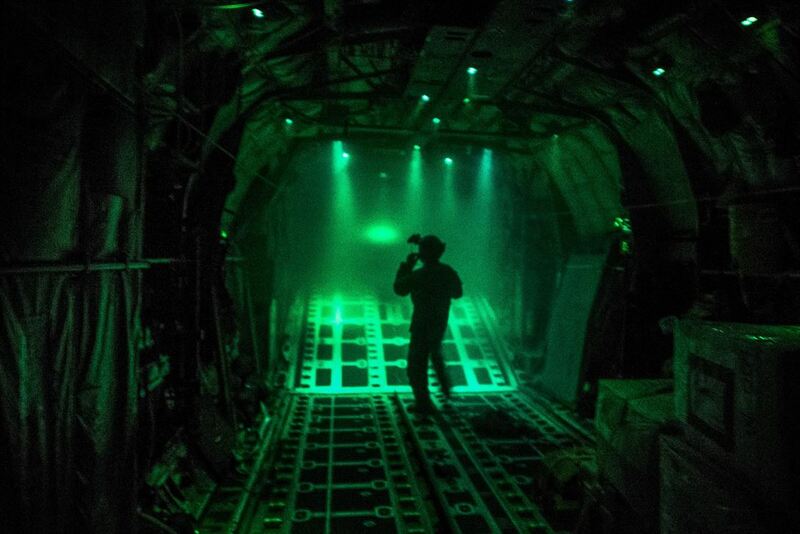 Jerry is a motivated and avid reader, aggressive fan of military aircraft, and was kind enough to write about “The Devil Dragon Pilot” during two of his recent posts. Thank you for your kind words, Jerry! October 2016: Ric Edelman, the #1 NY Times Best Selling Author and Financial Planner, will be announcing the release of “The Devil Dragon Pilot” on his national radio show The Truth About Money in December. October 2016: Military vet, American Legion Member, and author Lawrence A. Colby writes for American Legion’s “In Your Own Words”, describing his book “The Devil Dragon Pilot” to other American Legion members. It is available at this link.